As our building capacity continues to increase, we have identified three parking spots at the North end of the building for our patients. 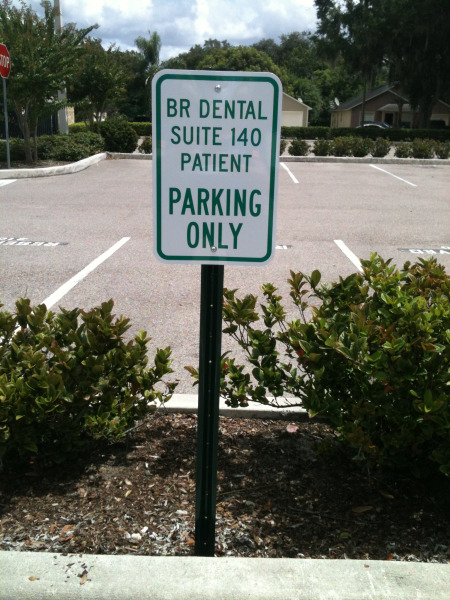 They are marked Reserved 140, as well as signage has been placed identifying these spots as Reserved for the patients of BR Dental. Visitor and Handicap spots may also be available at the front entrance of the building. You may use those parking spots or any spots not marked Reserved as well.